As I sit and knit work-type stuff I daydream, and lately the daydreams have been about mittens. Two styles- pointy-topped and fingerless, with pulse warmers from the leftovers thrown in, to boot. There will be tassels and tiny needles, candy stripes and troll buttons. My color cards for all these yarns have been taunting me for ages, so it was a thrill to finally print my order form and mail it off with a check (how old-fashioned!). This yarn is GORGEOUS. It’s exactly what I hoped it would be- strong, glossy, ever so slightly imperfect. This is going to be a big pleasure. While you’re at Nordic Fiber Arts looking at yarn, why not take a peek at these books. Beware, they’re out of stock and won’t be in for a few weeks. I haven’t received mine, so can’t comment on the contents, but they certainly look like answered prayers to me! Now, to distill all that into patterns! Well, a theme is definitely emerging! I’m seeing red gnome silhouettes and black toadstools on a white backdrop — or something along those lines! Sounds like fun. Oh my gosh! I’m so excited to see what you come up with! those books look like they are going to be amazing! I’ve bookmarked the page to send for birthday and future holiday “inspiration” to others….love the colors you chose – very crisp and will make great mitts! i’m looking forward to seeing what you come up with…definitely. Cool inspirations, looking forward to what you dream up! Love the inspirations – I can’t wait to see what you come up with. It wouldn’t be winter if you didn’t knit a pair (or five) of mittens!! Have you seen the Vogue Stitchonary 3 yet? So many colorwork patterns! Those yarns look terrific — thanks for pointing us to that source. The intricacy of the patterns in the books, too, is quite exciting. In case all those Nordic yarns and books get you in the Nordic knitting spirit, there will be a Nordic Knitting Conference at the Nordic Heritage Museum (in Seattle) in October! (I can’t wait!) Like everyone else, I’m looking forward to seeing what you come up with for your mittens! If anyone can do this, you can! Schwiboggen…I had no idea what I was going to find when clicking on that word…AMAZING. 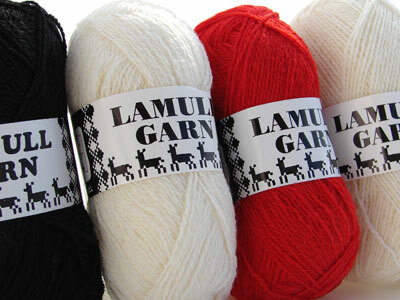 The labels on that yarn are inspiring themselves. Oh..My..Gosh.. I love those buttons. Can’t wait to see what you come up with. Your knitting is always so gorgeous! omg, did you see the pattern for the fair aisle bag on the nordic fibers website? These are going to be something else I know! Can’t wait! TROLL buttons! I’m not even looking at nordic fibers. The button site may do me in. Have you already ordered them? Let me know if they’re hard to get! I’m sure I could pick up at least the Selbustrikk at Husfliden in Oslo!